Just metres from the green space of Queens Park, this refurbished hotel has a 24-hour front desk and budget accommodation with free Wi-Fi. Queens Park Station is a 5-minute walk away. The clean, basic bedrooms have all been refurbished. The hotel also offers dormitory accommodation, and all rooms feature a TV and tea/coffee facilities. 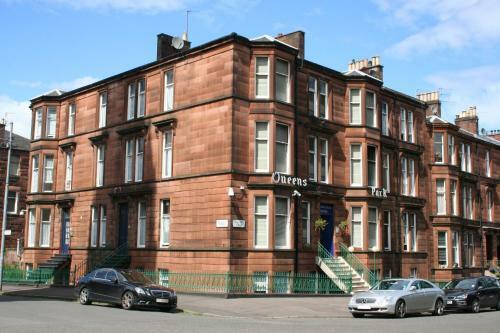 With a central location for Glasgow concert venues, the Queenspark Budget Hotel is less than a mile from Hampden Park, and is close to both the O2 Academy and SECC. The hotel offers free parking.